The leg of the animal carefully one by one finished in the bearing surface of having an abundance. 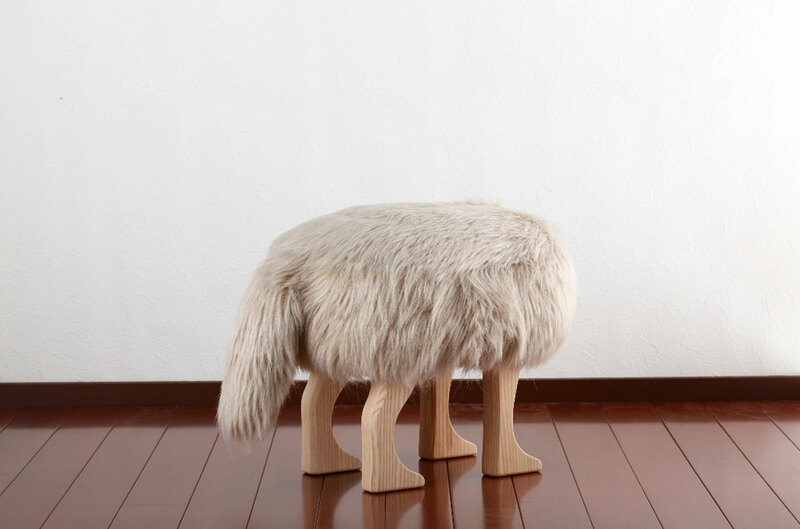 The unique animal stool with the pretty tail which is good to the accent of the room. Basically, the conceptions entail a solid wooden framework with four emerging “legs” and a sturdy support for the seat. Here we do admire the level of apt craftsmanship, especially with the fluid angles and the finishing of the polished wood that accentuates the texture of white ash. 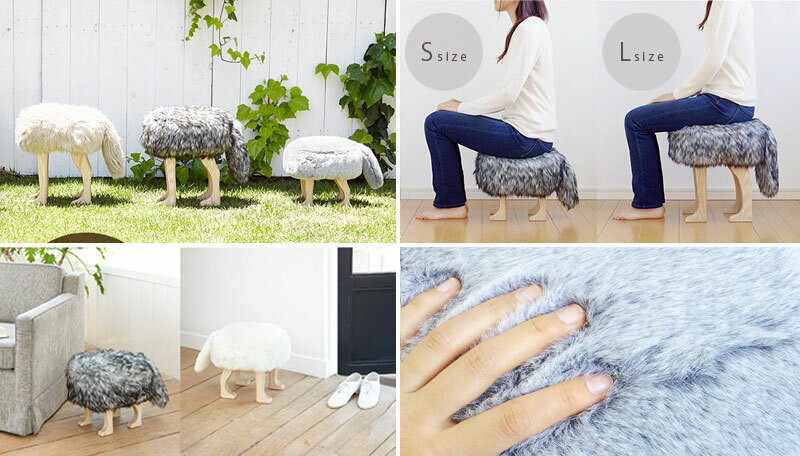 However, the main visual element of the whole design is obviously the furry component that covers the seat, and also extends as a tail from the rear end. 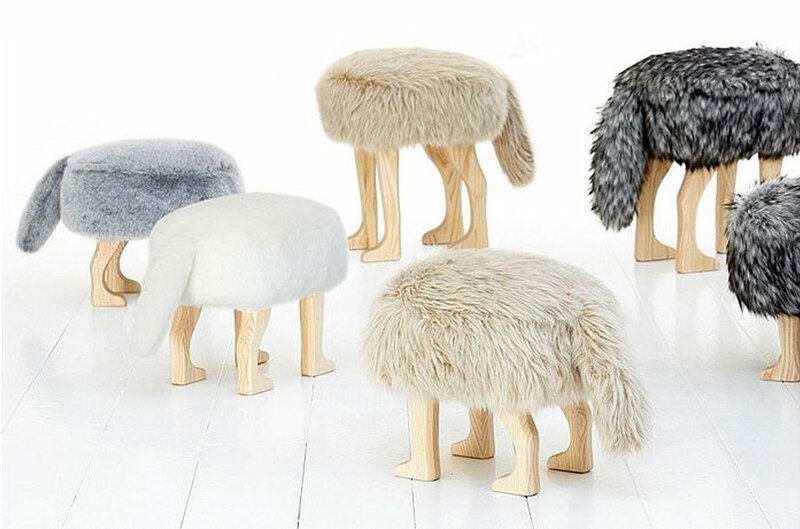 As a matter of fact, the faux fur comes in different varieties which in turn correspond to the different sizes of the stool. 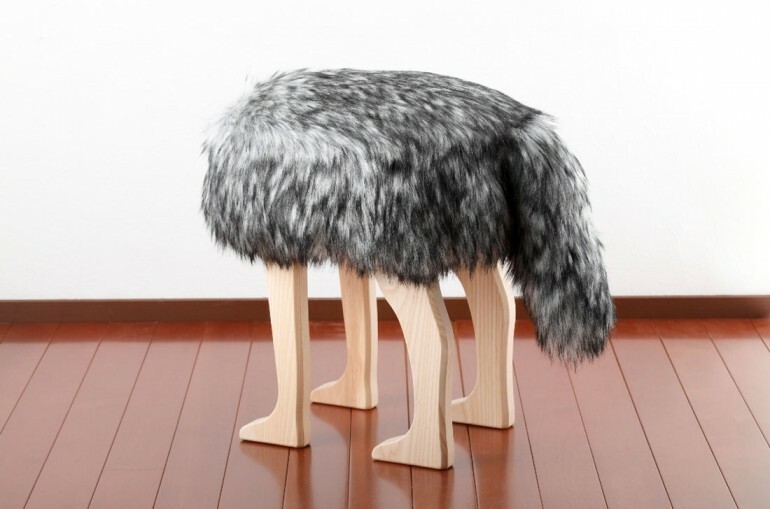 For example, there is a “wolf” textured fur that covers a slightly big stool, while there is a “fox” textured fur that comes with smaller models. The colors of these fluffy components are also available in both white and grey, thus suiting the user’s taste for his/her preference in home decor.